Mitch Lively does not have any MLB stats for the season. Draft: 2007, Colorado Rockies, 16th rd. December 21, 2018 Venados de Mazatlan placed RHP Mitch Lively on the reserve list. November 10, 2018 RHP Mitch Lively assigned to Venados de Mazatlan. January 1, 2018 Venados de Mazatlan activated RHP Mitch Lively. December 20, 2017 Venados de Mazatlan placed RHP Mitch Lively on the reserve list. October 4, 2017 RHP Mitch Lively assigned to Venados de Mazatlan. May 26, 2017 Bravos de Leon activated RHP Mitch Lively. May 13, 2017 Bravos de Leon placed RHP Mitch Lively on the reserve list. March 30, 2017 Bravos de Leon signed free agent RHP Mitch Lively. January 30, 2017 RHP Mitch Lively assigned to Venezuela. December 30, 2016 Navegantes del Magallanes traded RF Jose Tabata, RHP Mitch Lively and 3B Ronny Cedeno to Aguilas del Zulia. November 7, 2016 RHP Mitch Lively elected free agency. August 21, 2016 RHP Mitch Lively assigned to Harrisburg Senators. August 18, 2016 Washington Nationals signed free agent RHP Mitch Lively to a minor league contract. May 2, 2016 Broncos de Reynosa signed free agent RHP Mitch Lively. April 28, 2016 Vaqueros de la Laguna released RHP Mitch Lively. April 1, 2016 Vaqueros de la Laguna signed free agent RHP Mitch Lively. December 3, 2015 RHP Mitch Lively assigned to Navegantes del Magallanes. June 17, 2015 Syracuse Chiefs released RHP Mitch Lively. June 12, 2015 Syracuse Chiefs placed RHP Mitch Lively on the temporarily inactive list. June 8, 2015 Syracuse Chiefs activated RHP Mitch Lively from the temporarily inactive list. June 5, 2015 Syracuse Chiefs placed RHP Mitch Lively on the temporarily inactive list. December 19, 2014 RHP Mitch Lively assigned to Syracuse Chiefs. 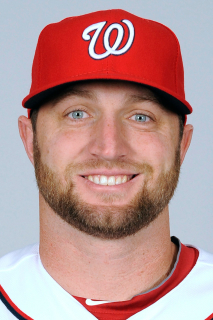 December 12, 2014 Washington Nationals signed free agent RHP Mitch Lively to a minor league contract and invited him to spring training. July 18, 2014 RHP Mitch Lively assigned to Syracuse Chiefs. July 17, 2014 Washington Nationals signed free agent RHP Mitch Lively to a minor league contract. July 14, 2014 Fresno Grizzlies released RHP Mitch Lively. May 20, 2014 Fresno Grizzlies activated RHP Mitch Lively from the 7-day disabled list. May 15, 2014 Fresno Grizzlies placed RHP Mitch Lively on the 7-day disabled list retroactive to May 13, 2014. January 13, 2014 San Francisco Giants invited non-roster RHP Mitch Lively to spring training. October 11, 2013 RHP Mitch Lively assigned to Navegantes del Magallanes. May 20, 2013 Fresno Grizzlies activated RHP Mitch Lively from the 7-day disabled list. May 10, 2013 Fresno Grizzlies placed RHP Mitch Lively on the 7-day disabled list. April 19, 2013 Fresno Grizzlies activated RHP Mitch Lively from the 7-day disabled list. April 14, 2013 Fresno Grizzlies placed RHP Mitch Lively on the 7-day disabled list. February 1, 2013 San Francisco Giants invited non-roster RHP Mitch Lively to spring training. October 11, 2012 Mitch Lively assigned to Bravos de Margarita. April 5, 2012 RHP Mitch Lively assigned to Fresno Grizzlies from Richmond Flying Squirrels. January 18, 2012 San Francisco Giants invited non-roster RHP Mitch Lively to spring training. July 20, 2011 Mitch Lively assigned to Richmond Flying Squirrels from San Jose Giants. April 2, 2011 Mitch Lively assigned to San Jose Giants from Richmond Flying Squirrels. March 26, 2011 RHP Mitch Lively assigned to San Francisco Giants. July 6, 2010 Mitch Lively assigned to Richmond Flying Squirrels from Augusta GreenJackets. April 25, 2010 Mitch Lively assigned to Augusta GreenJackets from Richmond Flying Squirrels. July 30, 2009 RHP Mitch Lively assigned to Connecticut Defenders from Augusta GreenJackets. July 4, 2009 Mitch Lively roster status changed by Augusta GreenJackets. June 30, 2009 Augusta GreenJackets placed RHP Mitch Lively on the reserve list. June 8, 2009 RHP Mitch Lively assigned to Augusta GreenJackets from San Jose Giants. May 5, 2009 Mitch Lively roster status changed by San Jose Giants. May 1, 2009 San Jose Giants placed RHP Mitch Lively on the reserve list.